Be a true rapper and create beats music. That dj app is a perfect music mixer. 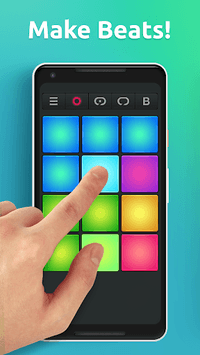 Drum Pad Machine is the best beats music mixer. 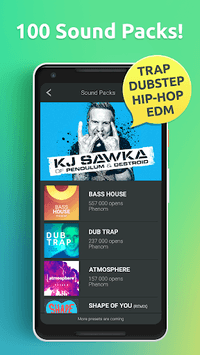 Create your own music with the dj app in few clicks. Use your imagination to discover a new world of hip-hop tracks by beatbox maker. ✔ Share music with the world. How does drumpad machine work? First, you will see colorful field with various buttons. Each new sector is a new sound for creating music. Buttons of the same color play similar sounds. Try our music app and create your own hits! You can use many sound packs for making music beats. Choose individual theme for beats music. All samples and sounds are developed for you by professional musicians. Beatboxing is easy and interesting even for freshmen. Drum Pad Machine is a handy creating music mixer app for playing in real time, as well as for creating and playing loops. - get tips and tricks by watching video and tutorials. Drum Pad Machine is a real piece of music production. 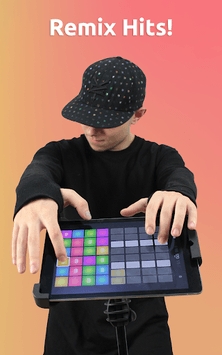 Make sick beats and create music in a matter of minutes with drum pads! Drop the beat!